Exhausted from burning your fingers when you cook and grill? Have you bought other cooking gloves that become too dicey and slippery to grip hot food, grills or pots? Or get wet from inside and fail in keeping their heat retardant qualities or even worse, get wet on the outside and burn your hands? Then all you need is Qorikancha Heat Resistant Oven Gloves. 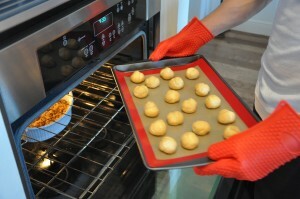 Why Qorikancha Rest Resistant Oven Gloves? 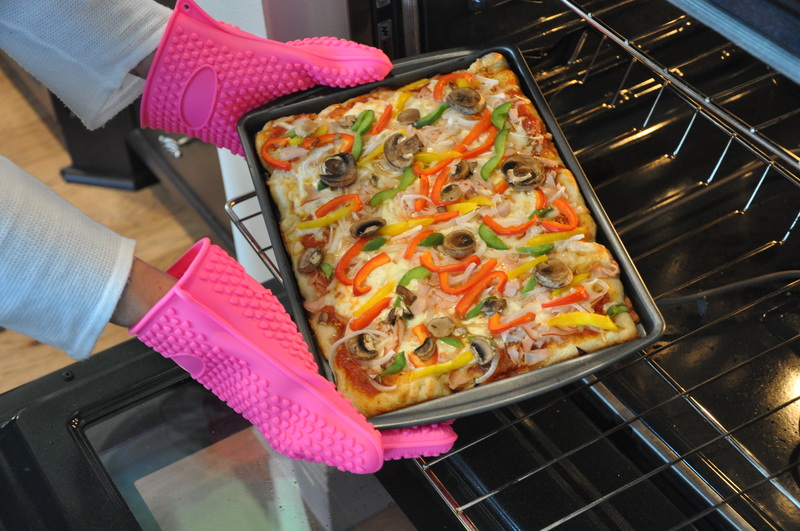 Qorikancha oven gloves are highly heat resistant and offer two handed protection against burns. These cooking gloves are waterproof even in boiling water! You can also use them as an oven mitt because they work up to 446 degrees Farhenheit and that’s why they are best grilling gloves too. Unlike other silicone gloves, the Qorikancha gloves maintain their grip due to it’s unique textured surface. 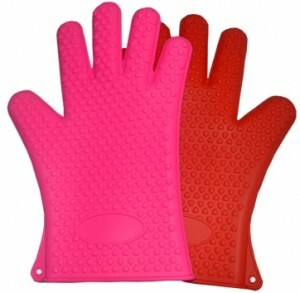 They are made of high quality food grade silicone so you can use in a way you want as silicone oven mitts or silicone oven gloves. Fantastic as grilling gloves for your everyday BBQ. Perfect for general house cleaning: wear them for dish washing and freezer cleaning to safeguard your hands. Rinse with your dishes in the dishwasher, it dries inside and out thus, no inner mold and smell like other gloves. Available in two colors: Fuchsia and Red. They retain their vivid color and never lose their shape. 100 % Satisfaction guaranteed upon receipt or your money back! So, why not get them and say NO to burned fingers and hands.